It’s a sellers market right now, meaning that there are more buyers than houses on the market for them to buy. When a great house comes available, more often than not there is more than one person interested in it and as a buyer, your offer may be competing against another (or 4). Each situation is different, of course (and if you are working with our team we will discuss specific strategy as it relates to the individual situation) but here are 5 tips that can help strengthen almost any offer and help you win over the others! 1. Don’t offer less than full-price. This is kindof a no-brainer but if a house is on the market for 1 day and there are 3 offers on it already, chances are it’s going to go at or above the asking price. Keep in mind that by “Full-Price” I mean the NET to the seller. So, if you’re going to ask the seller to pay some closing costs, you’ll need to tack on that amount to the sales price you’re offering. 2. Make it your very best offer. Don’t rely on the seller coming back and countering you. 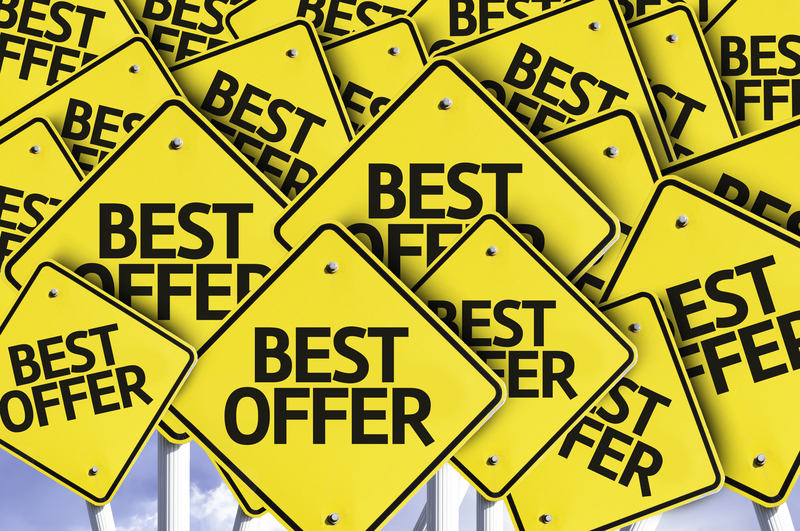 When they are looking at more than one offer, chances are they are going to go with one of them as it is. Now is the time to ask yourself, “if someone beat me by $1000 would I be upset about losing it?” If the answer is yes, then increase your offer. 3. Keep the terms very clean. Now is not the time to be asking the seller for a lot of extra things (deep cleaning, warranty, termite letter, survey, etc). Get through your inspection and if something comes up that would warrant one of these items, ask for it then. Your Earnest Money deposit is your “good-faith” deposit that shows the seller you have every intention of buying their house. This deposit is protected through your Due Diligence period and Financing/Appraisal Contingency period so as long as you mind your deadlines you’ll get this money back if something happens during these contingency periods. If you decide to walk away after these contingencies have been met, you’ll lose that money. When you close, you will get that money back towards your cash needed to close. So, if you bump the amount of earnest money up a little, this shows the seller you are all the more invested in buying their house. Or better yet, ask your agent to ask if the seller has a desired closing date and use that if it works for you. If you express that you have flexibility on the closing date, this can sometimes hold a lot of water for a seller, especially if they have not found a new house to buy and would like to have more time than usual.